The Camilla Massacre took place on September 19, 1868, near Albany. Black Republican politicians, along with a few white allies, marched en masse to Camilla, Georgia, to protest their expulsion from the state legislature. The rally ended in tragedy when Camilla residents attacked the marchers outside of the courthouse. About 12 men died and there were many more wounded, all shot by white supremacists. The Camilla Massacre was one of many terrorist acts carried out during the Reconstruction era. Those who perpetrated the violence intended it to stop or roll back advances in civic, economic, and human rights for African Americans. The attack on Reconstruction is essential background for understanding our current political situation, but the Camilla Massacre is not acknowledged with a marker, nor is it included on popular websites like History.com. The Wikipedia entry is short and lacks historical context. Today, there is a movement to reclaim and teach the progressive history of Reconstruction. Your students have a chance to participate by advocating for a historical marker and/or adding the Camilla Massacre to the Make Reconstruction History Visible map. And there might be other important Reconstruction events your students could uncover and help publicize. Professor Joshua Butler and the Albany Civil Rights Institute in Albany, Georgia, would welcome the engagement of your students to raise awareness about the Camilla Massacre. Your students can join the campaign for a historical marker, add content to Wikipedia, produce history podcasts, and/or ask local or national media outlets to include the Camilla Massacre and other Reconstruction history in their timelines and articles. 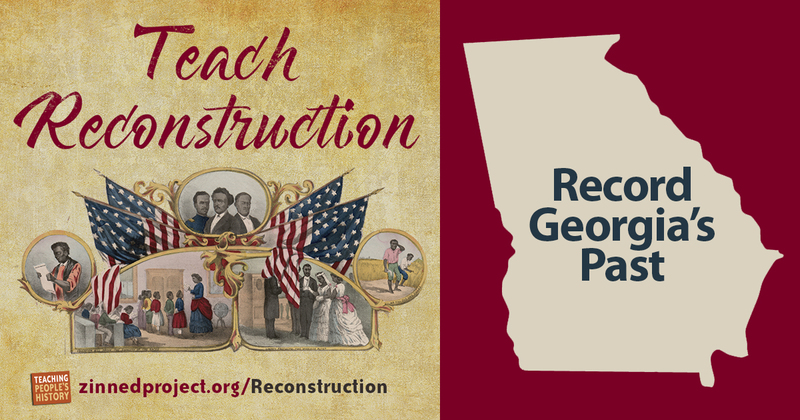 As a teacher, you can fill this need by facilitating a Reconstruction history project in your classroom that will have real-world impact. When we teach people’s history, we can also make people’s history. Contact zep@zinnedproject.org for more information about how to get involved.